The routine visit to a dentist is a scary prospect for a kid. Some of the fright might be due to the fear of the various metal tools that the dentist would stick into his or her mouth, while other might be scared to sit on the examination chair that is scarily highlighted with a spotlight. Mentally prepare your kids of the visit to the dentist. A few weeks prior to the dental appointment mention it to the kids that they are to visit the dentist in a few days. Let them question you on the visit. Don’t forget to inform the dentist that it is their first visit. There is nothing that will explain your visit to the dentist better than role play. 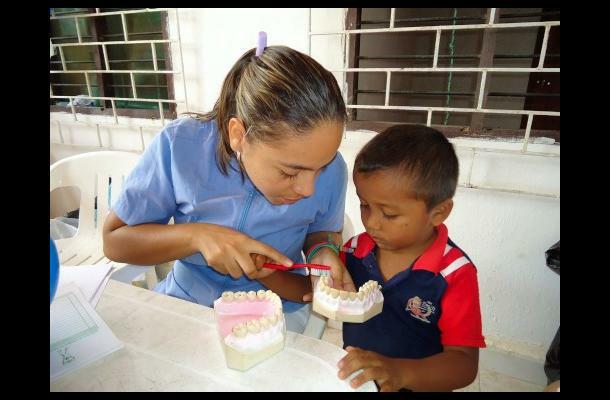 Do the role of a dentist and pretend to check each and every tooth of the child and prepare him for what he is to expect in the dentist’s chair. The purpose behind this is to make the kids feel at ease while they have to get their teeth examined. Before the actual examination, let your child see what the dentist is actually going in the examination process. 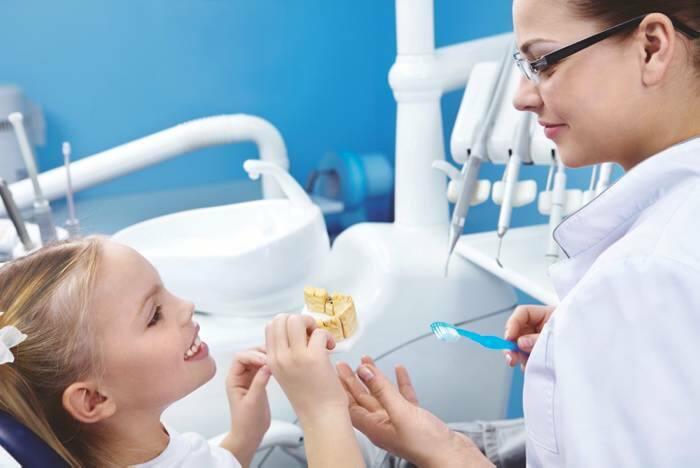 Most dentists allow young inspectors to view the process. If it makes things easier, you might even want to let your child view you get on the hot seat before them. Try to make a game out of it. You can ask the dentist to cooperate and make the visit a lot more fun. For example the dentist can use all sorts of funny sounds while he uses his different instruments. A lot of dentists hand out small knick knacks after the visit comes to an end. If they don’t, you can carry a gift for your little one for going through with the visit. The gifts will also give them something to look forward to in the next dentists visit.